DUBAI, United Arab Emirates (AP) — Millions of Muslims around the world will mark the start of the holy month of Ramadan on Monday, a time marked by intense prayer, dawn-to-dusk fasting and nightly feasts. Saudi Arabia’s state TV announced the new moon of Ramadan was spotted Sunday evening. Local media in Indonesia, the world’s most populous Muslim country, also said Muslims there would begin fasting Monday, as will Muslims in Singapore, Yemen, Lebanon, Syria, Qatar, Kuwait, Jordan, Egypt, the United Arab Emirates, Afghanistan and the Palestinian territories, among others. Following these announcements, a mosque in Tampa, Florida announced to its followers that they too would celebrate the first day’s fasting Monday. 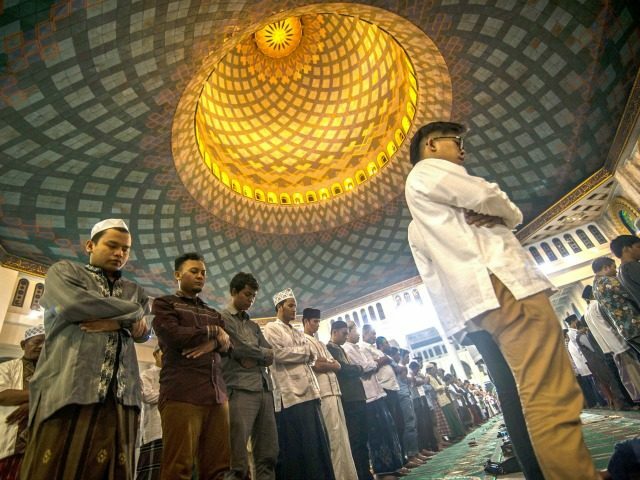 The faithful spend the month of Ramadan in mosques for evening prayers known as “taraweeh,” while free time during the day is often spent reading the Quran and listening to religious lectures.